Moravians! Advent is here, which means, by tradition, many of us have our stars assembled and displayed. In the spirit of the season and fostering our Moravian unity, we’d like you to send us a picture of how you have your Moravian star displayed. If you feel led, include a description of what Advent/Christmas means to you as a Moravian Christian. Please submit by December 24, 2016. We are currently offering the #MoravianStar2015 image above as a notecard for purchase! The notecards are $12 for one pack of ten, and $50 for five packs of ten. They come with envelopes. Shipping fees are not included. To order, email bcm@mcsp.org or call (336) 722-8126. Cards are available for purchase in person at our office, and are being offered on consignment to congregations to be sold at events. All proceeds go to benefit Sunnyside Ministry’s Gaining Control program. If you post your image to social media and prefer to keep your location private, please do so by not tagging a location when you post your image. If you prefer to keep both your name and/or username as well as location private, submit your image via email (acox@mcsp.org) or direct/private message us on one of the listed social media platforms. Please expressly tell us we are not permitted to use your name or location by saying you want your submission to remain anonymous. These words from Deutoronomy speak volumes to me. When I get requests in the Resource Center for resources to teach our children about our Moravian heritage, I am reminded of this verse. There are several fine resources I point older youth and adults to, and soon, there will be another fine resource for Moravians of all ages. The Eastern District of the Moravian Church’s Northern Province saw a need for a new curriculum to guide churches in learning Moravian history and to provide meaning for today’s Moravians. They invited the Moravian Church’s Southern Province to join forces to create a multi-aged curriculum focusing on Moravian history with an emphasis of looking to the future. An interprovincial team worked to design the various elements and then contracted with Margaret Norris (now the Director of Christian Education at Home Moravian Church) to manage the project. She worked with a team of writers that included Karen Wilson, Marie Couts, Tricia Everett, Carol Foltz, Sam Gray, Justin Rabbach, and Denny Rohn. After a thorough review by several Moravian theologians, educators, and scholars, we are preparing to unveil it. Called Living Branches: Moravians Growing In Faith, Love, and Hope, this 13-week curriculum written for younger elementary, older elementary, youth, and adult groups will soon be available online. We will also, for a reasonable price, make available printed copies for congregations who need to access it this way. The Southern Province is currently developing a five-day Vacation Bible School model to supplement this curriculum. Come step into the Moravian world! Ours is a past full of “living branches” – those faithful guiding figures who have led us since the 15th century. These witnesses to the Lamb were not only pioneers in their generations, they also provide inspiration to lead us through our present into our best future. We’ll explore the Moravian Church’s roots, starting with Hus and his peers, and travel the road to the present. We will take stops along the way, visiting Comenius and the “Hidden Seed,” Herrnhut’s revitalized church, and our bold missionaries. We will untangle different periods of history as we move into the future of the Moravian Church, with our past to inform and guide us. The curriculum design team wanted age-appropriate as well as topically-based curriculum. Therefore, we have arranged these pieces in a 13-week Sunday School model. Additionally, we have coordinated the sessions’ topics so that a particular time period or historical figure can be studied by all ages. For example, if the Moravian Church is celebrating the birth of the Unitas Fratrum, the curriculum pieces that reflect that time in our history can be pulled out and studied by children through adult. We are excited this project is nearly complete. Soon churches will be able to teach this rich Moravian history to all ages. As the Deuteronomy passage emphasizes, we must never forget the importance of passing our faith through generations. as part of a weekly Bible study (especially the adult program). The list could go on and on. Plan to use it to best fit your needs. Get on board and help Moravians of all ages grasp the heritage and beauty of this faith. 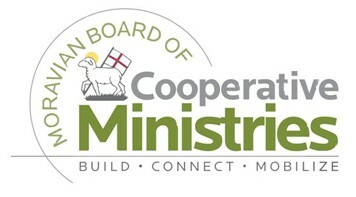 Beth Hayes is the Director of Congregational Ministries and Resources, Moravian Board of Cooperative Ministries (BCM). 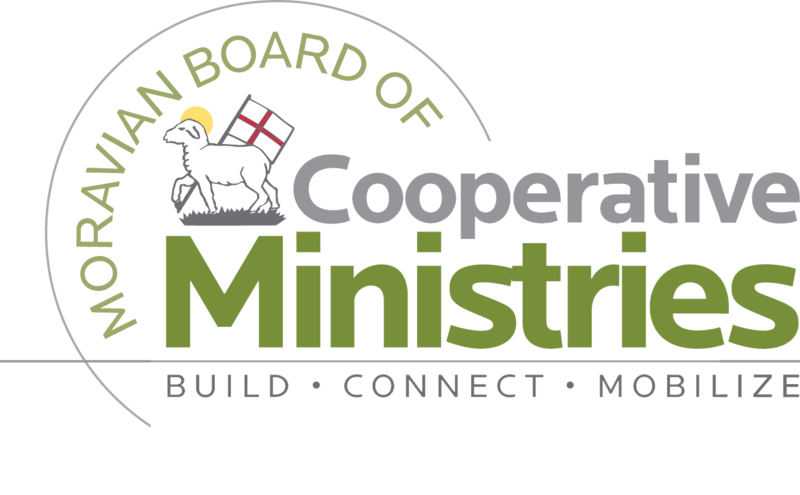 The Young Adult Working Group, one of the working groups of our Board of Cooperative Ministries (BCM), is discussing plans to offer an open forum on young adult ministry in our churches. The group plans to offer this open forum sometime early next year. In preparation for this provincial event, the Young Adult Working Group had a trial run at the November Moravian Ministry Association meeting in which around thirty people attended. Brother Zach Dease, pastor at Macedonia Moravian and member of the Young Adult Working Group, guided us through this event which included videos and discussion questions. The first video was called “We Are the Millennials: a Letter to Baby Boomers” which shared several reasons why millennials (young adults) are not active in church. Other videos included some of our local Moravian young adults and a former Moravian young adult who shared their feelings and experiences of being a young adult in the Moravian Church. These videos showed a variety of perspectives from young adults who are active in their churches to one would rather be out doing ministry than sitting in a church to one who feels the Moravian Church does not meet her needs and has found them met elsewhere. There was some good discussion following the videos. How would you feel if you were a young adult Moravian today? How should we be supporting our young adult Moravians in our churches? What is your church doing now? Where do you need help? On a scale of 1-10 (1 lowest, 10 highest), how would you rate the performance of the Moravian Church in serving young adults, and why do you pick that number? If the church seems to be struggling to support millennials now, what can we do to serve the children, the next generation, and ensure that they do not find themselves in this same situation? Sister Victoria Lasley, a candidate for Moravian ministry and student at Wake Forest Divinity School and member of the Young Adult Working Group, shared some of the responses from the questions. Due to time restraints we were not able to discuss the responses, but the working group will use this information for its future event. Know who your young adults are and contact them. Have services and programs that are relevant and meaningful..
Have someone whose ministry is to keep up with the church’s young adults. Have leaders who are sensitive to the needs of young adults and do your best to relate with them. Be willing to be flexible and open to new ideas. Don’t be afraid to deal with tough questions. Have a church where young adults want to invite their friends. Soon the Young Adult Working Group will announce the time and place for its open forum. We hope many who are concerned about our ministry to our young adults will be there. Our group’s prayer is that looking at the issues and at what we can do will help make a difference as we minister to the young adults in our churches. The Rev. Doug Rights is the Director of Youth, College, and Young Adult Ministries at the Moravian Board of Cooperative Ministries (BCM). Here he is with his lovely wife, Kathy. November is a time when, as Moravians, we reflect on two elections. One of those elections is fast approaching, and, for many, it brings uncertainty and concern. Who will “win?” Who will “lose?” The seemingly endless campaign season has often gotten quite personal. There’s been lots of name-calling. The issues have sometimes been put on the sidelines. The other election, thankfully, has already been decided – 275 years ago! On November 13, 1741 it was announced to Moravian congregations that neither Sister Anna Nitschmann nor Brother Leonard Dober would be the “head” of the church. Ironically, at that time they set aside the “issues” and got personal and did some name-calling… in a good way! Yes, they set aside the issues that might serve to divide them. They “called upon the name of the Lord” to lead them. And they invited Jesus Christ himself to “get personal” with the church and have a guiding presence in their lives! So, what does that election mean for this election? It means that, as Moravians, no matter who “wins” and who “loses” our ultimate allegiance is to Jesus Christ. A phrase that has been used in Moravian circles recently is, “We don’t follow a donkey or an elephant; we follow a Lamb!” But words are meaningless unless we live those words. How do we live our motto? How do we follow our Lamb who has conquered? I think there are two very important words in that motto: “follow” and “our.” Following means listening to the leading of our Chief Elder and being willing to “do what Jesus would do” and be whom Jesus would call us to be. But how, in such divided times (even among Moravians) can we say that Christ is “our” Lamb? There are no easy answers. But I believe we start by recognizing that there are no term limits on the position that our Lamb occupies. No matter what happens this week in this election, Jesus Christ is still our Chief Elder. And Christ still calls us to be witnesses to the faith and love and hope that we have in our Creator, Redeemer and Sustainer no matter who occupies lesser offices for the next few years. We must never allow partisan politics or personal preferences to get in the way of the mission that Jesus has entrusted… to us! Remember, it was “for us, for us” that the Lamb was slain. But it is also “to us, to us” that this task has been given – to carry on the platform and policies of our Chief Elder: to feed the hungry, give water to the thirsty, clothe the naked, care for the sick and imprisoned, welcome the stranger… the list goes on. The task seems daunting. But that’s why the “our” in that motto is so important. Our Chief Elder calls us to do these things together, in community that transcends our present circumstances. This is my prayer… for us. If you have questions or need additional information, email (samATmoravianmission.org) or call the Moravian Board of Cooperative Ministries at (336) 722-8126. The Rt. Rev. Sam Gray is the Director of Intercultural Ministries at the Moravian Board of World Mission.